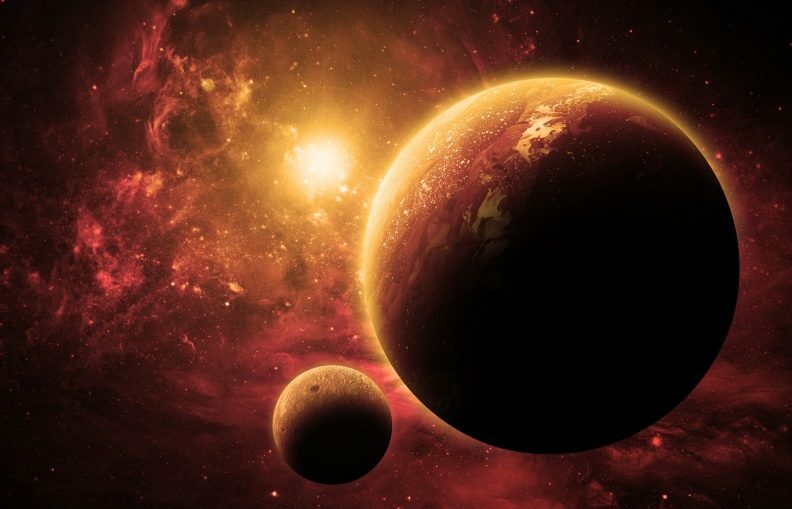 Astronomers have found an abundance of exoplanets, but no exomoons. Despite ongoing efforts, the tiny celestial bodies have just been too elusive to detect using modern technology. However, researchers might have just hit paydirt. They’ve used Kepler Space Telescope data to discover signs of what looks like a Neptune-sized moon orbiting a planet in the Kepler-1625 system, 4,000 light years away from Earth. They were tipped off to the companion when they noticed dips in brightness (indicative of an object transiting in front of a star) around a planet during three of its transits. It’s a very promising piece of evidence, but we wouldn’t bet money just yet — there’s some homework left to do before the discovery is validated. Right now, there’s only the Kepler telescope data to work with. It’s one of the strongest candidates for an exomoon to date (most candidates fail quickly), but not so bulletproof that you’d stake your life on it. The scientists want to collect measurements from the Hubble telescope before they can make an authoritative statement one way or the other. This is probably an alien moon, but you never want to rule out the possibility of another object. Of course, a bona fide exomoon wouldn’t be shocking. Ask anyone with a passing interest in space and they’ll probably argue that moons are common in other star systems, if just through sheer numbers. Rather, it could represent a big milestone in how humanity studies space. Where the focus so far ha been on spotting the largest objects, this suggests that astronomers might have some success looking for the minutiae of a system. And that’s more important than you think. Earth’s Moon increased the chances for life on its host planet (by stabilizing the rotation and shielding it from asteroids), so it’s conceivable that an exomoon might produce a similar effect. This article was originally published by Engadget. Read the original article.